The late 18th and early 19th century was the great age of tower mills. The tower of Skerries five sail windmill is 49 feet (c.15 m) high, and the diameter of sail 66 feet (c.20 m). 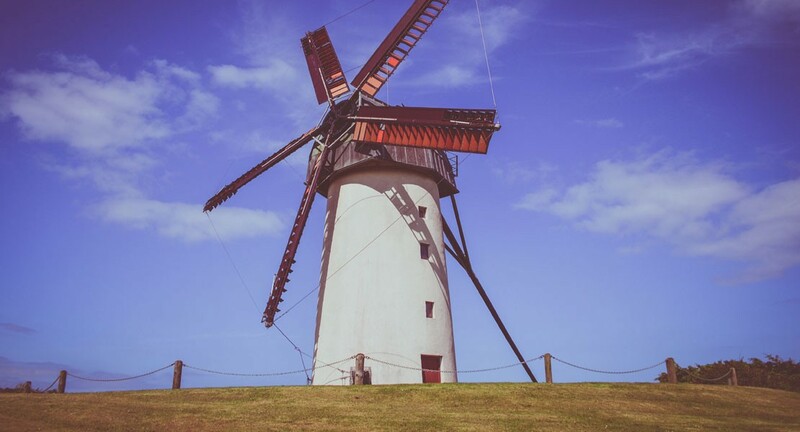 In flat landscapes, as in Holland, mills are up to 80 feet (c.24 m) high and can include living accommodation. Multi-sailed mills are unusual but not uncommon. Five-, six- and eight-sailed mills increased the area of the sails and thus efficiency of the mill. Five sails were very efficient, although the loss of one sweep (sail) could stop the mill. 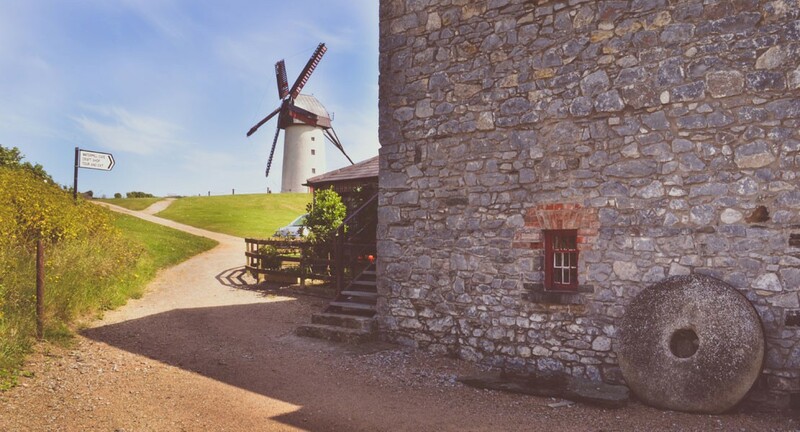 The Skerries five-sail windmill was built as a four-sail mill but following a fire c.1844, was transformed into the then popular five-sail version. The art of sail design was also evolving. The simple canvas sails of earlier years were replaced by spring sails, a series of shutters, invented by the Scottish millwright Andrew Meikle. In 1807, William Cubbit perfected this design by introducing the patent sail, where Meikle’s shutters were controlled automatically by a weight suspended outside the mill. 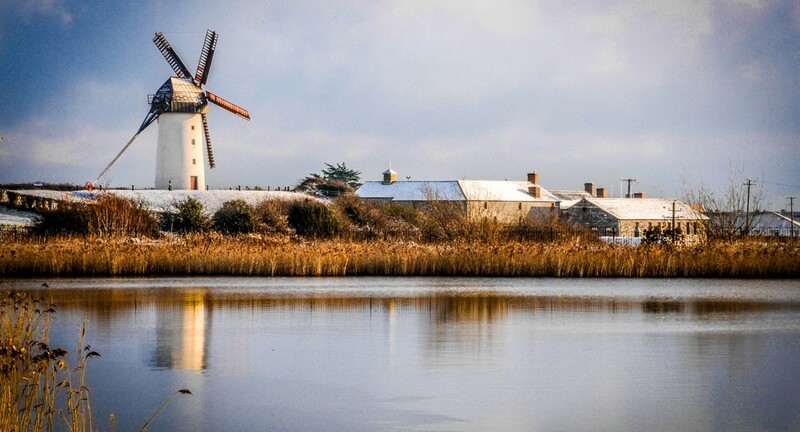 The Skerries five-sail mill displays an early version of the patent sail. The caps of tower and smock mills were turned to the wind by using a winch, a fantail or a tail-pole, as used here. 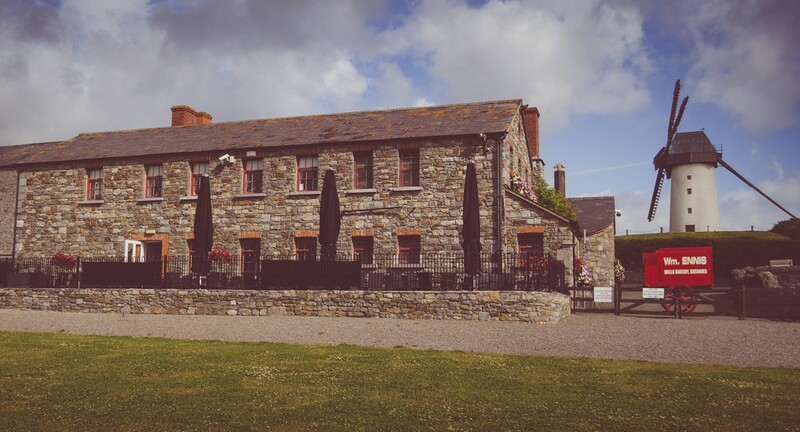 There are two pairs of grinding stones in the five-sail mill and a sack-hoist for transporting grain to the top floor. Other machinery includes sieves, shakers and blowers.